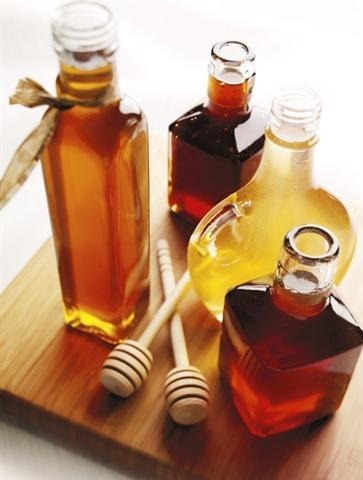 I love honey. I add it to tea, spread it on Peanut Butter sandwiches, smear it on bananas, and drizzle it on spinach. I like because it’s sweet, but carries less guilt since it comes from nature. That’s good reasoning, right? 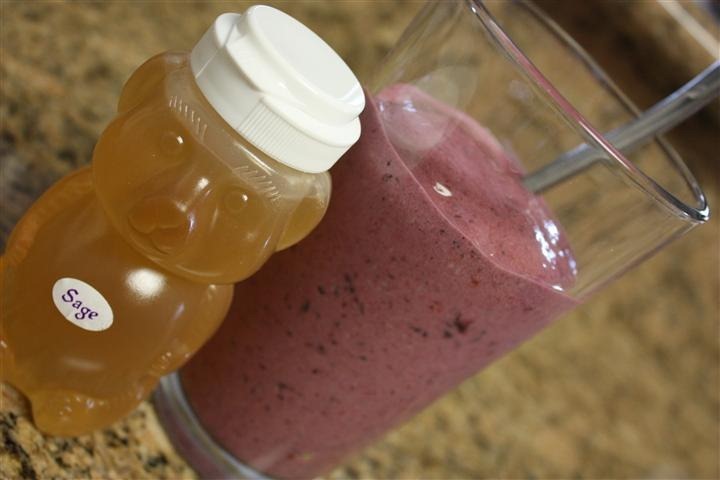 In fact, honey is almost the perfect superfood for athletes and runners. 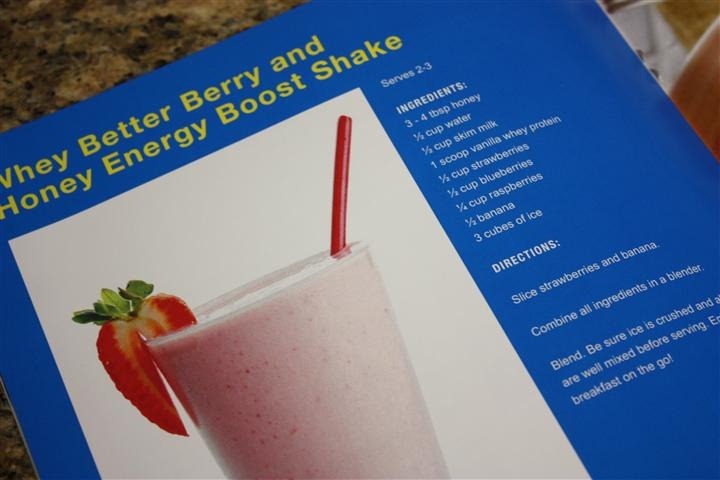 It has 17 grams of carbs per tablespoon and is ideal for working muscles. It delays fatigue and can decrease muscle soreness too. One of the best post-exercise snacks is a banana with peanut butter and honey! The kind people at the National Honey Board sent me some local honey to try out! Sounded good to me! 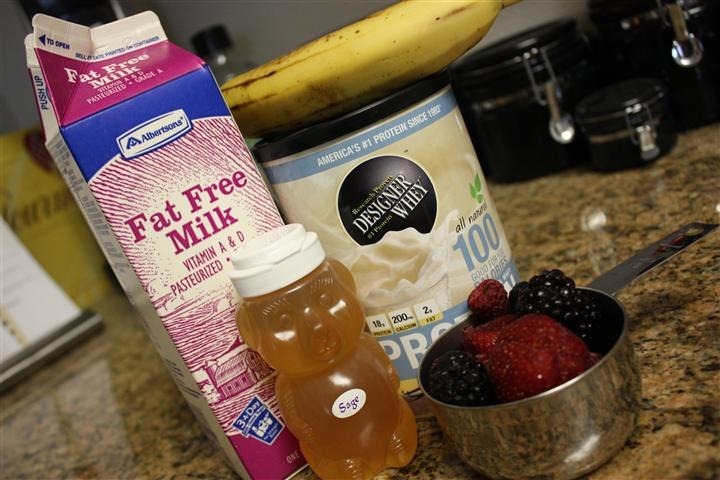 This morning, I tried their Whey Better Berry and Honey Energy Boost Shake! Blend. Be sure ice is crushed and all ingredients are well mixed before serving. Enjoy a great breakfast on the go! I halved the recipe to just make one smoothie. And I used frozen berries instead of fresh with ice. It was DELICIOUS! 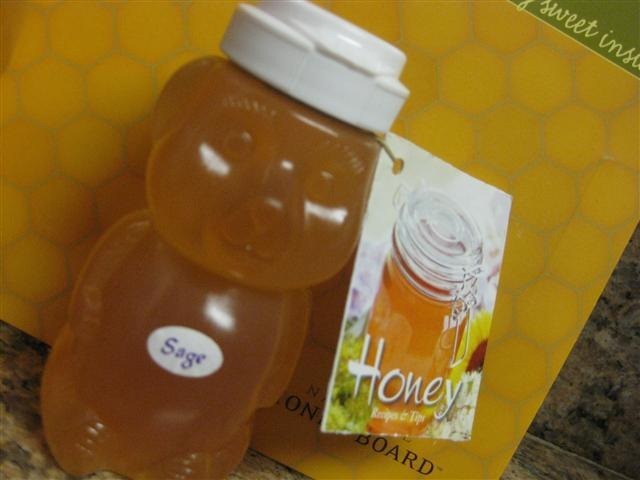 I’ll be posting a few more recipes highlighting honey soon, I just LOVE it! A power breakfast that tastes like dessert is an A+ in my book. 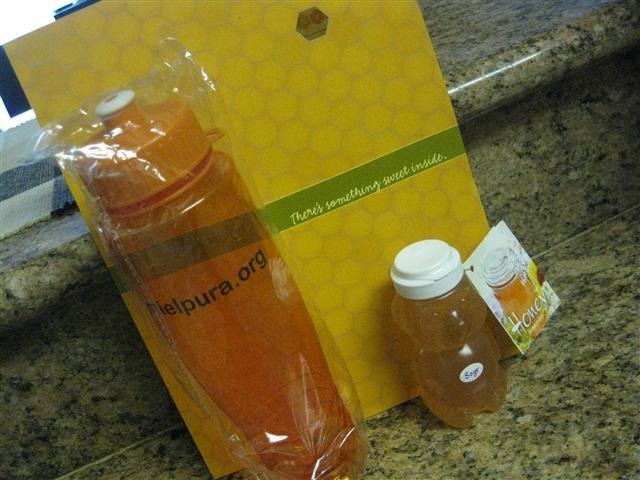 For more information on the benefits of honey and other fun stuff, visit www.honey.com. 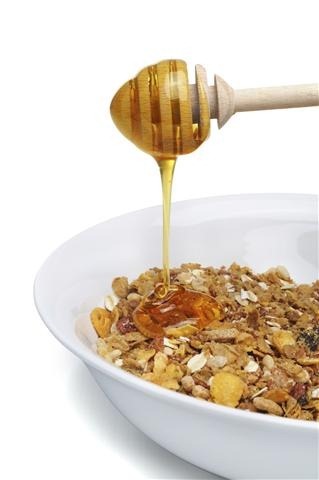 Disclosure: The National Honey Board has provided me with this product for the purposes of trying and reviewing it. All opinions are my own.